On the island of Thisby, the Scorpio Races occur on the beginning of every November where riders struggle to keep their waterhorses, or rather, capaill uisce, to the finish line. Puck Connolly's parents have died from a capaill uisce attack. Now, her and her brothers live alone. Money is scarce, and with the eldest off to the mainland, they are in desperate need of money more than ever. She enters the race in attempt to win cash- and to keep her family together. Sean Kendrick has won the races four times, and is predicted to win the next. Through the races, a romance blossoms between Puck and Sean, and he seems willing enough to help her win the money. The only thing is, Sean needs to win the races in order to save the thing he loves most in the world. I MUST HAVE THIS BOOK!!!! So after I issued this book out of the library, merrily skipped all the way home and channeled all quietness out of the room (which meant a whole lot of bribing to my sister) to experience the predicted awesomeness of The Scorpio Races , I sat down on the comfy Lazy-Boy and finally began to read. As I read, I waited, and expected, and waited some more. But... nothing. 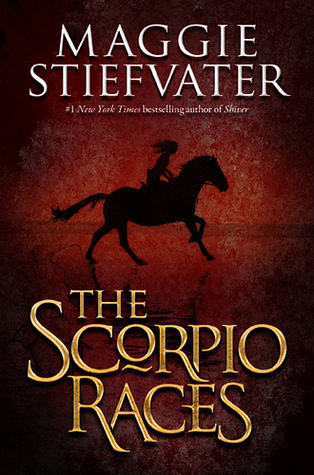 After a number of pages (and, some flicking to the back pages- one of my annoying traits, blossomed by my impatience), I realised that the whole book was just a build- up to the end, the actual Scorpio Races. And then I got annoyed. And sad. And disappointed. 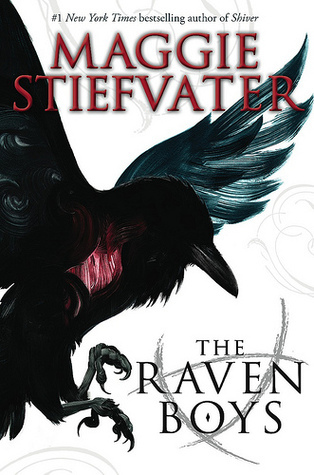 But this is the part where I want to applaud Maggie Stiefvater. Because without the way she has written Thisby and all the people that came with it, and, not to mention, the capaill uisce I wouldn’t have read on, and I wouldn’t have read the amazingness that is The Scorpio Races. The way Stiefvater writes her characters, with so much soul and so much personality, it makes her characters seem so real. Every character, whether major or minor, seem like she's invested so much time in creating them, that they're effortlessly believable. I have to say I liked Puck the best though. I liked her from the moment I read the part where she told Brian Carroll that she'd spit on his grave if he died. Enough said. Ah. His devotion to the horses and his love for Corr.... Lordy. Who does not want a guy like that? The entertaining cast of characters would make every single reader welcome to Thisby, despite the warning of killer water horses. I could actually go on about the characters for forever, but I won't and instead I shall move on to the world building. Sweet and short, the world building was perfect. Thisby is... comfy to me, and living there would make me very certain about what I'd do every single day. I'd go to mass in St Columba's with Father Mooneyham then go have lunch at Palsson's then look around at Fathom and Sons. Which is to say, while reading The Scorpio Races , I felt like I lived there. In conclusion- ooh. I sound like I'm writing an essay for English-, the charming characters and the spot on world building over-powered the- what would otherwise be a boring- build up to the Scorpio Races. 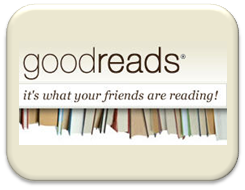 So, according to the Goodreads rating system, I "really liked it". I'd also like to say that I am quite upset that there is no sequel to this book. Would very much like to know what happens to Puck and Sean and Finn and George Holly. Please, Maggie! I want a sequel! !